Managing a blog is not an easy job, it requires hard work, patience, right knowledge and right tool. If you are interested in blogging, make sure you start blogging with right tools so that you can easily manage your blog and you have more time to write article’s. Below are some of the tools for blogger which facilitates blogging. Social Media plays a vital role in blogging, we receive huge traffic from Social media daily. In order to maintain the visibility of blog in Social Media, we need tools that can help us to automate our social needs. So that we don’t need to share our blog post/article to each and every social network. These tools will automate the task of sharing post. 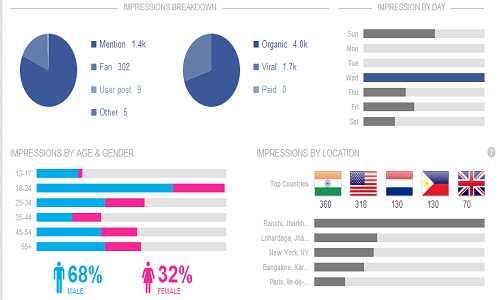 some of the widely used Social Media management tools are given below. HootSuite– HootSuite is similar to Sprout Social but lacks certain features such as detailed account analysis,require credit card for free trial. In HootSuite you can manage and analyse Twitter, Facebook , Google+ Pages, LinkedIn, Foursquare, WordPress, Mixi, MySpace and other using App directory. One of the advantage of HootSuite over Sprout Social is that it comes with a free account option where you can add 5 different social network profiles, 2 rss feeds, simple analytics, message scheduling. 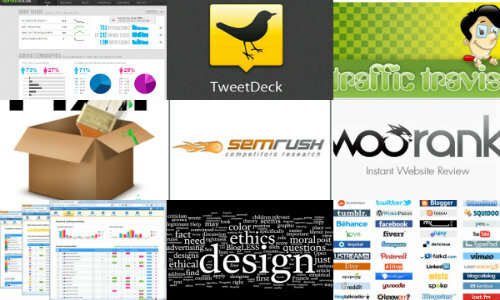 TweetDeck – TweetDeck is an ultimate Twitter management tool available free of cost. It comes with a desktop app, web app and chrome application. If you have multiple twitter account then you can use tweetdeck to manage all twitter account in single place. It comes with some of the basic features which other social media management tools provides like retweets, tweets, scheduling of tweets, notification and one of the best thing is you can add unlimited twitter account free of cost. JustRetweet – Just retweet is twitter management tool where you can post your message and ask other members to retweet your message in favour of some points. All you need to do is just post your message with amount of points for each tweet. You can easily accumulate points by retweeting other’s post or following other member. Finding free Images for your blog post is a challenging task and some time you end-up getting poor quality and low resolution images. Today No website provides high quality and optimal resolution images. So its best to create your own images, below are some tools which can be used to create cool, high quality and valuable images for your blog in no time. pixlr – One of the best online photo editing software which is available free of cost. It comes with a lot of features such as border, overlay effects, text in images, stickers and much more. For easy to handle use pixlr express, all you need to do is just select any image and start editing using different styles types, effects, fonts etc. Wordle – Wordle is an online tool to generate Word cloud from a bunch of text from your post/article. you can use wordle when you can’t find any inages for your post, since it will consist all important keyword in word cloud. You have the option to change fonts, layouts, and color schemes and it is free. If you want to increase your blog/website rankings in SERPs then you must use any one of the SEO tool to manage, track and improve your keywords. There are numerous SEO tools which can provide detailed SEO report for your blog/website, some of widely used tools are listed below. Semrush– It is an online SEM tool used by many bloggers and business owners. It comes with a little price but also offers free SEM report for your website/blog. All you need to do is just enter your domain name and it will show your keyword rankings, organic keywords, ads keywords, backlinks,competitors, position in search engine and many other valuable details. Traffic Travis– It a free SEO software which provides all your SEO needs such as search engine rankings, keyword monitors, backlinks report and much more. Its free version does not provides full report but this is a must have tool for newbie blogger. There are many other valuable SEO tools which provides detailed report such as woorank, seoprofiler, seoptimer etc.